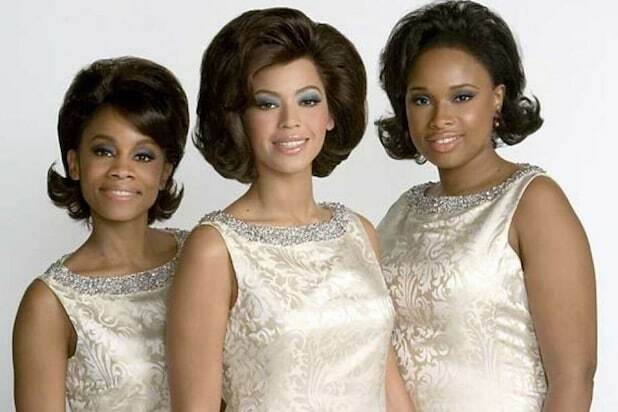 Adapted from the 1981 Broadway musical drama of the same name, 2006's "Dreamgirls" followed the evolution of R&B music in the 1960s and '70s through the eyes of a girl group called Deena Jones & the Dreams (Anika Noni Rose, Beyonce Knowles and Jennifer Hudson). 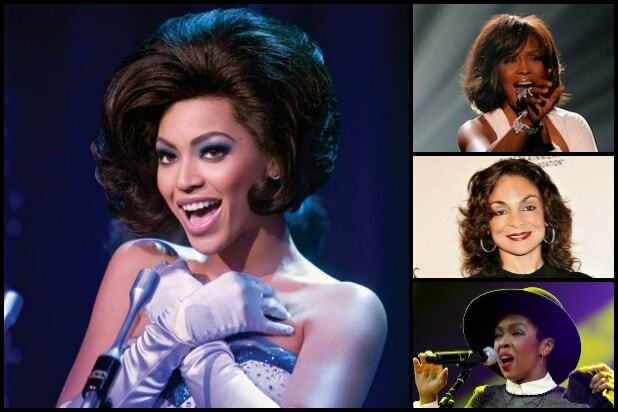 Although inspired by Diana Ross & the Supremes, it is purely a work of fiction. Find more "Dreamgirls" trivia, goofs and quotes on IMDb. Beyonce Knowles Beyonce wanted the role so badly that when she auditioned, she arrived in costume with choreographed dance steps. Whitney Houston Houston's star turn in 1992's "The Bodyguard" made her a spot-on choice for Deena. One problem: Houston wanted to sing Deena's songs and Effie's song, especially the showstopping "And I Am Telling You." Lauryn Hill Filmmaker Joel Schumacher had eyed Lauryn Hill for the role of Deena in 1998, when he was slated to direct the film. Schumacher's "Dreamgirls" was axed when, later that year, the musical "Why Do Fools Fall in Love?" bombed at the box office. Jasmine Guy Long before gaining fame in the "Cosby Show" spinoff, "A Different World" (1987-93), Jasmine Guy starred on Broadway in "Grease," "Wiz," "Beehive" and "Chicago." She told Movieline, "I did Diana Ross onstage in 'Beehive,' so..."
"Curtis" The charming car salesman turned music mogul. Those considered for the role included Jamie Foxx, Denzel Washington, Will Smith and Terrence Howard. Jamie Foxx Fresh off an Oscar-winning performance for "Ray," Jamie Foxx (here with Jennifer Hudson) initially nixed the offer to play Curtis because the money offer didn't meet his $15 million post-awards expectation. "We were like, 'What kind of money is it paying?'" Jamie confesses. "I kinda want to make some money. That's where we were coming from at first," he told The L.A. Times. But... the role became his. Denzel Washington Washington was offered the role but swiftly turned it down because he said he couldn't sing. Will Smith Smith brought a little "Dreamgirls" to "The Fresh Prince of Bel-Air" in 1995 when he lip-synced to Jennifer Holliday's Broadway rendition of "And I Am Telling You." In 2006, he didn't get the role of Curtis… or Effie, for that matter. Terrence Howard Howard auditioned a cappella for the role of Curtis in "Dreamgirls," a play that his mother tried out for 20 years earlier. "Effie" Effie is the voluptuous, volatile "everywoman" who could belt out a song with the best of them. Jennifer Hudson, Patina Miller, Raven-Symone, Kelly Price and Fantasia Barrino were all considered for the showy role. Jennifer Hudson After gaining 20 pounds, getting lip injections and toiling through three callbacks, Jennifer Hudson beat out 782 other women for the role of Effie… and took home just about every award imaginable for her performance, including an Academy Award, Golden Globe, BAFTA, Screen Actors Guild and Image Award. Fantasia Barrino Jamie Foxx wanted fellow "American Idol" alum Barrino to play Effie before Jennifer Hudson came into the picture, but Barrino took the loss in stride. "Everyone wanted me for that role except the director. But it wasn't for me," Barrino told Contact Music. "I tried really hard. But I can't even be mad. That role was for Jennifer Hudson. I feel like I was meant to win 'American Idol.' And I feel like J [Jennifer Hudson] was meant to play the Effie role." Raven-Symone Raven-Symone auditioned for the role, even though she was starring in two TV shows at the time -- lending her voice to the animated show "Kim Possible" and playing a high school student with psychic powers in the Disney series "That's So Raven." Kelly Price During an earlier incarnation of "Dreamgirls," then-director Joel Schumacher set his sights on Kelly Price, saying, "…with that fabulous voice, I would have had her for EFFIE... I was really excited about it." Patina Miller Although Miller auditioned for the role of Effie, she later went on to make her Broadway debut in the musical "Sister Act," playing the role made famous on screen by Whoopi Goldberg. She also won a Tony for starring in a revival of "Pippin." "CC White" Effie's soft-spoken, songwriter brother was inspired by Smokey Robinson. A few of those up for the role: Keith Robinson, Usher, Omarion Grandberry and Andre 3000. Keith Robinson Robinson went from playing the Green Power Ranger to the live-action "Fat Albert" film to the role of CC in "Dreamgirls." He later told RollingOut.com, "I feel honored to be a part of what I consider one the greatest black, if not all around, casts ever assembled." Usher Although Usher said about playing CC, "It is not 100 percent confirmed yet, but it is something that I am entertaining." Ultimately, he said he couldn't commit to the year it would take to film. Omarion Grandberry The lead singer of the R&B boy band B2K was briefly considered for the role of CC. The year "Dreamgirls" hit theaters, Grandberry's single "Ice Box" from his second album "21" reached the top 20 on the Billboard Hot 100. Andre 3000 of OutKast Andre turned down the opportunity to play CC, telling ContactMusic.com, "The director wanted to meet, and I'd really love to work with this director, but I just finished a musical, and it was a period piece. I don't want to get typecast." You can get more "Dreamgirls" trivia, goofs and quotes on IMDb.